The critters are arriving. Staff training is under way. The cottonwoods are blooming, leaving my sinuses stranded in a blizzard of fluffy white seed pores. My tent is setting new records for heat containment (at least until the sun goes down, that is—then it sets speed records for how quickly the heat can dissipate). Cimarron West had their annual Memorial Day sale, and beautiful poisonous weeds are blooming in my pasture. This is locoweed. Might be awful purdy to look at, but it will drive a man crazy. Okay, maybe not a man, but it’ll work a number on the man’s horse and cow and sheep. Oxytropis lambertii: the ultimate femme fatale. I got rid of all of it that I could find before any of the ponies could even think about taking that regrettable just-once-won’t-hurt first bite. But when returned to the pasture the next day, I almost had a heart attack. My pasture was purple. 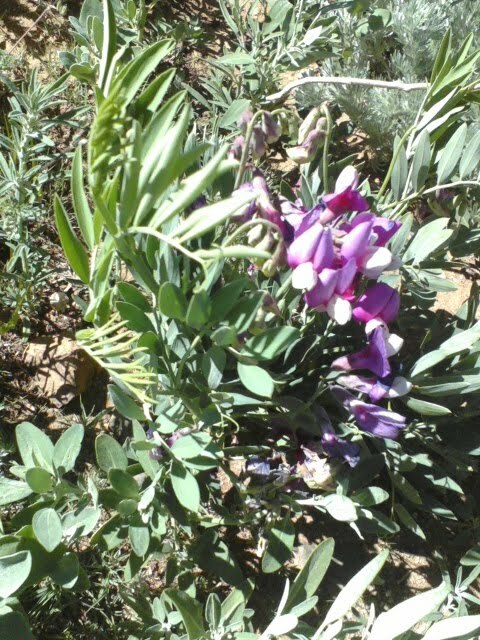 It appeared that while I wasn’t looking, all the locoweed in the world decided to transplant itself to my little neck of the woods and take up residence. Permanent, irrevocable residence. So I rolled up my sleeves, grabbed a black trash bag, and went forth fully intending to eradicate the snot out of every purple flower in my pasture. It’s purple. It’s purdy. It’s driving me insane. But it’s not locoweed. It’s a Penstemon, and while I am still trying to identify exactly what type of Penstemon it is, my best guess is Large Beardtongue, Penstemon grandiflorus. And it is perfectly harmless. So as I abandoned the purple purging in favor of eradicating the milkweed sprouts that I had noticed, my brain automatically turned into Writer Who Wants to Sound Intelligent mode, a fairly harmless if somewhat annoying condition I sometimes find myself falling prey to. I thought about the number of stories that are piggybacking on the success of certain famous books about boy wizards and vampires. There seem to be an abundance of these lately. Some are well written, some are not–and I’m not about to admit to which ones I feel fit into each category lest I incite the blogosphere to riot. Whether or not you are a fan of any of these stories, any writer worth his or her salt should want to write something fresh, something original. Or maybe I’m just crazy. That’s cool, too. Now don’t get me wrong. I know that it’s nigh unto impossible to write a book that isn’t influenced by other literature, especially by common archetypal patterns and characters. Just today, I ranted on Facebook about how bothered I am that people are claiming my new favorite series is a Harry Potter rip off just because it happens to be about a boy battling an evil mastermind. And I’d be lying if I didn’t admit that my own novel has been influenced by existing literature. I see something about another author’s style that I like, and I see how I can make it work for me. Observation and practice are essential keys to becoming successful in any field. But in my opinion–and please excuse me while I step onto my soapbox–there is a HUGE difference between recognizing the things that influence your writing, and blatantly copying someone else’s story (even if it isn’t outright plagiarism). A friend recently told me of a book she read that was so close to a piece of published fiction that even the names of the characters were similar. It is so tempting to write to the market, to write what is selling because you think that you can get published easily. But I believe writing that way is a huge disservice to your talent as a writer. If you want to write, don’t depend on others to give you ideas. Existing stories can and will inspire you to write, but for your own sake, don’t be a copy cat. 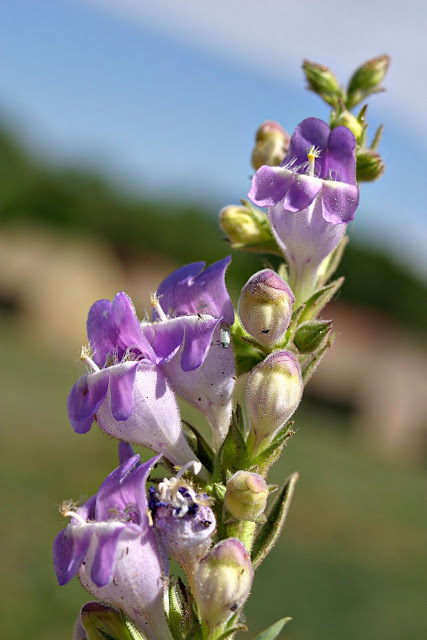 The Penstemon in my pasture almost died because it looked like something else. Books that intentionally try to be the next Twilight/Harry Potter/etc. never are the next Twilight/Harry Potter/etc. Recent popular books may have followed familiar archetypal patterns, but there was something different about them, something special that caught the attention of readers everywhere and made them the runaway hits that they are. I’m pretty sure I’m preaching to the choir here, but just in case, let me just say this: If you love to write, indulge that passion. It is a wonderful life. It is hard, but totally, undeniably worth it to watch your idea turn into a full-fledged story or book. Don’t sell yourself short by hitching a ride on the popular train. Write the original stories you have in your head, and someday people will be trying to follow in your footsteps. Originally published on the first iteration of this blog, jestkeptsecret.blogspot.com. To read more old posts, visit the JKS Archives.